NLware gaat voor groen! Onze hosting is zeer energiezuinig en maakt gebruik van de nieuwste technologie. Dat is zakendoen met een goed geweten! Taking responsibility for the environment means there is an increasing need to obtain energy from renewable sources. Our hosting exclusively uses energy from renewable sources to power the servers in its data centers. 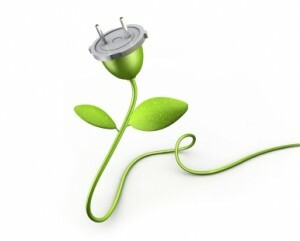 Our hosting uses green energy from 100 percent carbon dioxide-free and environmentally-friendly hydropower. For years the investment decisions made by our hosting-partner have been based on energy efficiency. Power usage of hardware and network components has been determined by in-house measurement and used as a fundamental criterion in the selection of components. Our hosting parnter wants to use these measures to promote energy-efficient use of the internet. The associated costs will be met in full by NLware and not passed on to the clients. Choose a cleaner future together with NLware!